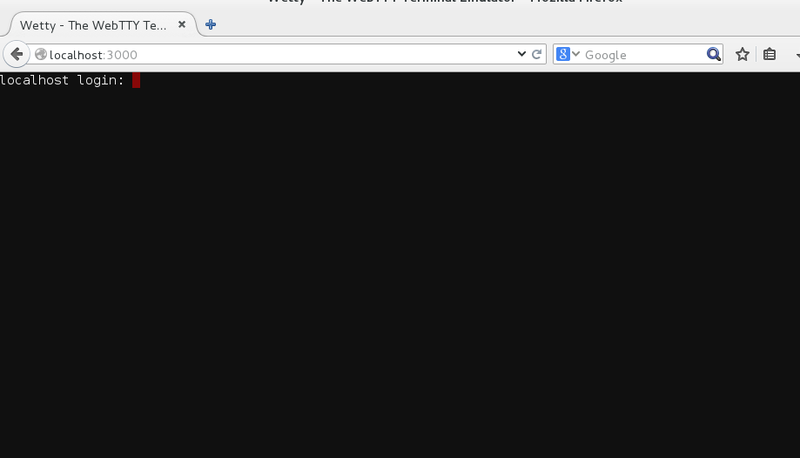 Wetty provides terminal access within web browser. 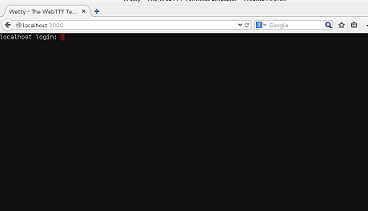 It is a tiny utility that lets you run your terminal application within browser tab using both HTTP and HTTPS protocols. You can carry out all the operations you usually do on your terminal, in Wetty now. It uses hterm terminal emulator on the backend and uses websockets instead of Java Script. It is fast as compared to normal terminal and provides much better response time. Let’s see how we can install it on Ubuntu and CentOS operating systems. In order to install Wetty, we must have following component on our Linux system. Alright, all pre-requisits have been installed now. Run following command to clone Wetty’s GitHub respository to your local system. Now go into this cloned directory. This is how the successful install process should look like. It will start Wetty on port 3000; Launch your web brower and load http://localhost:3000 ; here is your Wetty in action. Login with your SSH login credentials and start using this fast web terminal. If your have a valid SSL certificate, you can start Wetty on SSL port by using the following command (Replace your SSL key Certificate names and paths in the following command). By using Wetty, you can work on your current system via SSH or can connect remote computers too. It is known for its speed, you can use this lightweight utility to better and quickly manage your Linux systems. 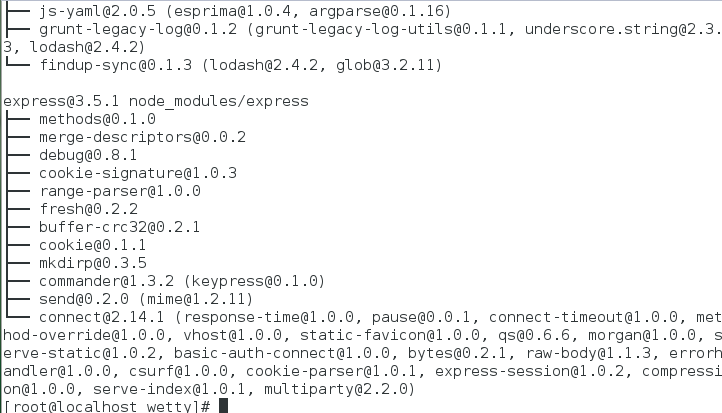 can you see whats being logged to /home/mayank/wetty/npm-debug.log. It might point out to the exact problem. Should do the trick. Thanks!